Updates to John B. 's profile since your last visit are highlighted in yellow. I retired in 2015 and live in Tucson, AZ in the winter and New Albany, IN in the summer. Traveled thru Europe and SE Asia and lived in Shanghai, China for 3 years. John B. Ricketts, III has a birthday today. 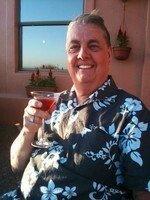 John B. Ricketts, III updated profile. View.